Our Log Cabin Welcome Center warmly welcomes visitors to Johnson County. 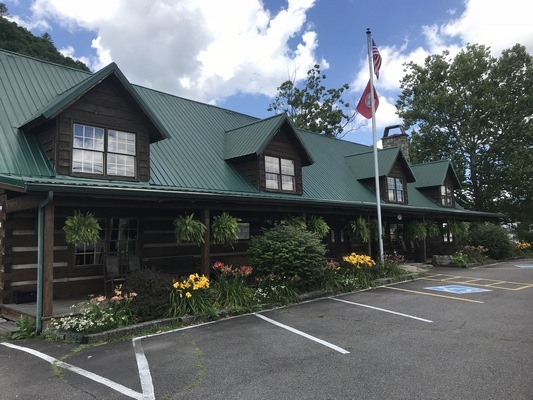 It houses a small History Museum and an Information Center, and it is conveniently located on Hwy 421, in the middle of Mountain City, which is our county seat. The museum presents historical information about our area and showcases original artifacts and pictures from the past. The Information Center will provide you knowledge about the products and services provided by local businesses. It also provides tourism information about the many activities, attractions and adventures available in our area. Our knowledgeable and friendly staff will answer questions and will provide you with the information you need to have an enjoyable visit to our area.